The Stratford Chefs School provides a rich culinary education and the opportunity to train with renowned chefs from around the world. Apprenticeship is based on the premise that we learn by doing, under the guidance of an experienced practitioner in a skilled trade. A culinary apprenticeship at the Stratford Chefs School is no different. Here, an apprentice begins by learning the basic skills under the watchful eye of a restaurant chef instructor. As training hours accumulate, apprentices gain the experience required to meet the increasingly complex demands of the trade. Upon successfully completing the period of training, the apprentice is then eligible for certification. Our culinary program adheres to this model because the most valuable learning results from working directly with the best professionals in the business. 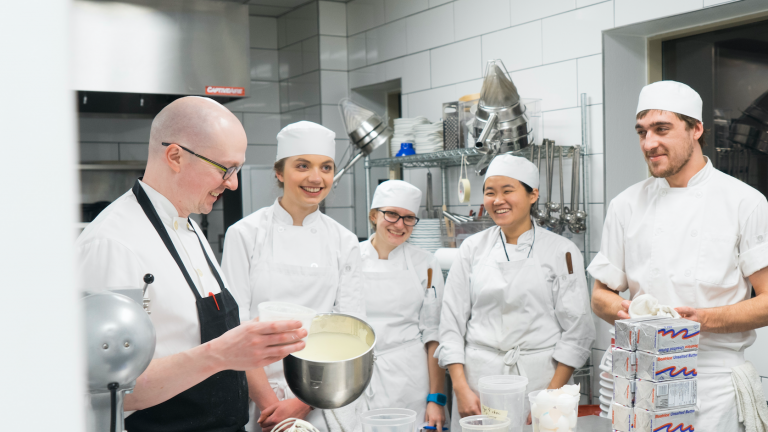 Operating with a 15:1 student to teacher ratio, our program covers every area of gastronomy and culinary craftsmanship and allows students to begin accumulating apprenticeship hours as early as their first day of class. Apprenticeship is registered by means of a contract between an individual apprentice and The Ministry of Training, Colleges and Universities. While apprentices may earn their apprenticeship hours with one employer, apprentices may also earn their hours at as many different restaurants as they wish. As of April 9, 2013, to have an apprenticeship contract with The Ministry of Training, Colleges and Universities, students must have a membership (in good standing) with the Ontario College of Trades. Once the student has confirmation of membership, hours may begin to be allocated towards the fulfillment of apprenticeship training hours. After accumulating 6000 hours of experience (which includes 1,314 hours of in-school hours (Level One and Two included), apprentices can write their Red Seal or ‘papers’ – the exam that provides them their certificate of qualification as a Journeyman Cook. The provincial exam for Certificate of Qualification completes apprenticeship training and a passing grade qualifies the apprentice as a journeyman cook. The Stratford Chefs School encourages apprentices to write the Certificate of Qualification Exam. The Stratford Chefs School believes that a harmonious mix of practical and theoretical courses exposes the student to all aspects of cuisine and facilitates the student’s development into a skilled and thoughtful chef. 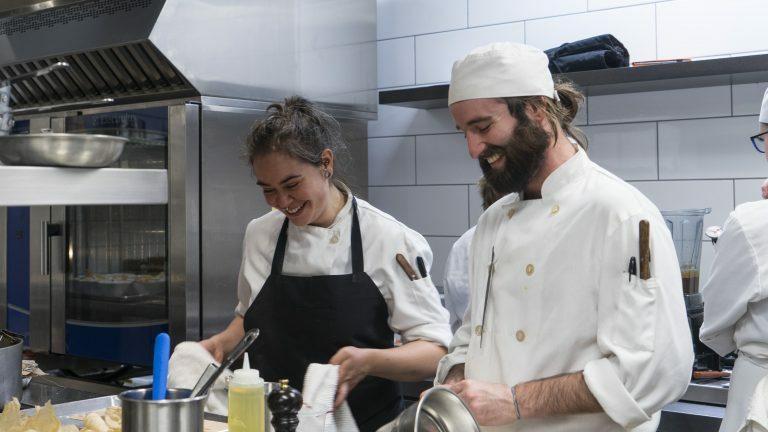 The Stratford Chefs School is the only institute outside the community college system authorized by The Ontario Ministry of Advanced Education and Skills Development Apprenticeship Branch to train cook apprentices. 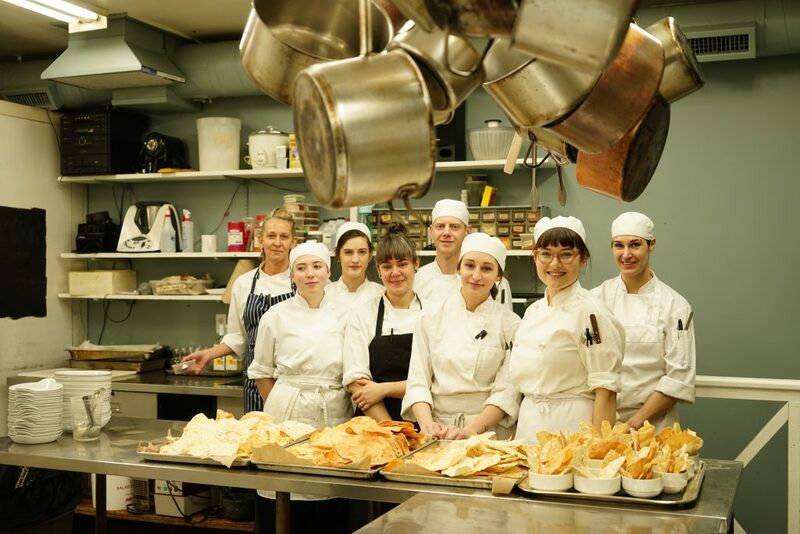 The curriculum at the Stratford Chefs School is enriched in several ways. At the SCS, the academic term runs for 16 weeks in contrast to the provincial standard of 12. The hours of training and experiential learning at the Stratford Chefs School exceed provincial program requirements by 6 hours per week in Level One and by about 15 hours per week in Level Two. Students enrolled at the Stratford Chefs School receive more than 400 additional hours of in-school training over two years. For training to remain current, it must reflect the “state of the art” in the industry, nationally and internationally. To this end, the Stratford Chefs School draws its culinary instructors from successful restaurants across Canada and at times from the United States (and abroad). Each year, industry-renowned chefs are invited to participate in the School’s Celebrity Chef in Residence Program for Level Two students. Enriched training is evident in the quality of products and ingredients used in practical classes. SCS ensures that the freshest products are available to students, which instills the importance of high-quality ingredients in the development of taste. The SCS relies as much as possible on supporting local producers. Apprenticeship allows Stratford Chefs School students to train with well-respected and notable professional chefs, to forge valuable industry connections, and to learn the craft of cookery ‘where the best chefs train’. Applications are accepted year-round for Canadian residents.